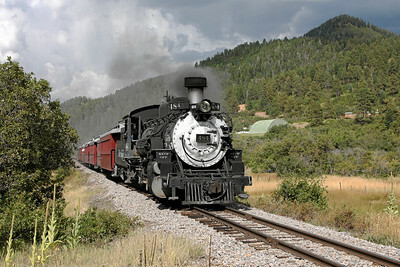 C&TS 488 drifts downgrade out of the S Curve and approaches the New Mexico Highway 17 grade crossing. 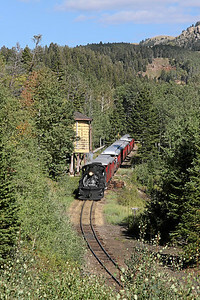 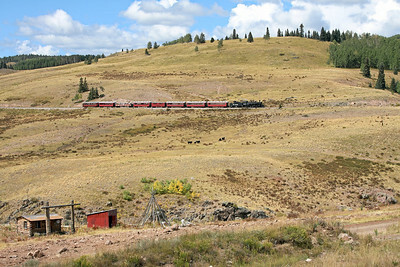 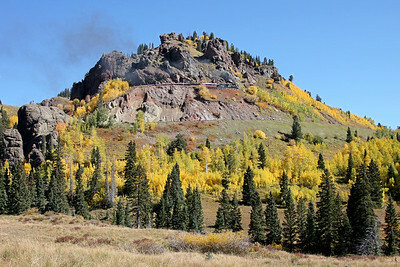 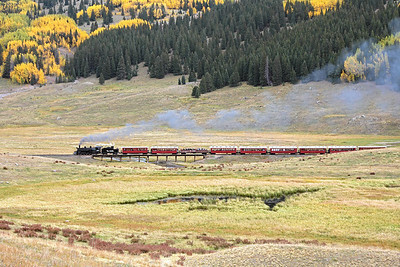 Mechanical problems delayed this Chama-bound train exiting Los Pinos, providing for a later-than-usual appearance at Tanglefoot Curve on the eastern climb to Cumbres Pass. 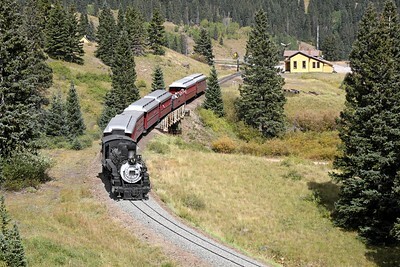 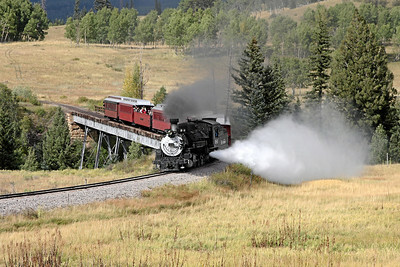 C&TS 488 rounds Tanglefoot Curve and works the final grade to Cumbres Pass. 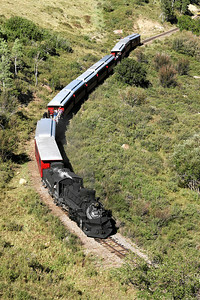 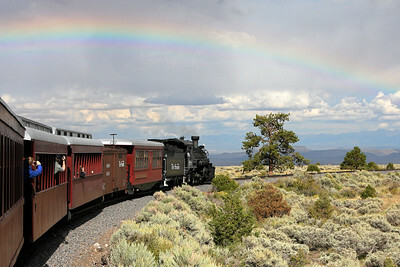 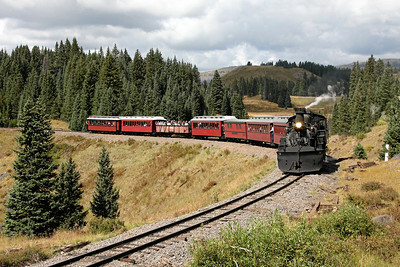 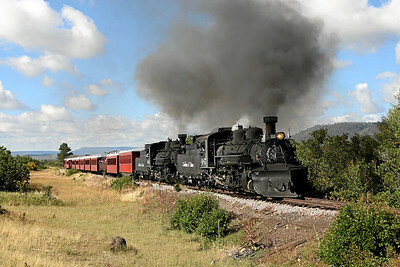 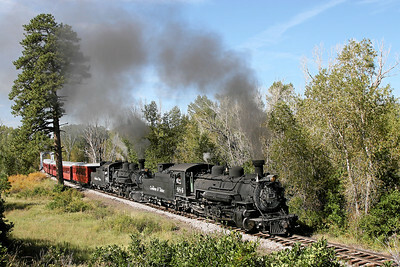 C&TS 484 and 487 cross the Rio Chama and pass famous Jukes Tree. 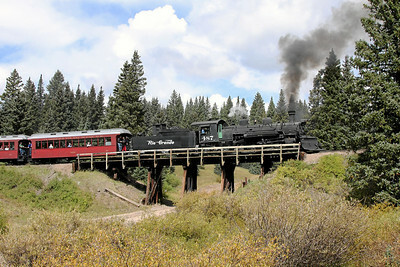 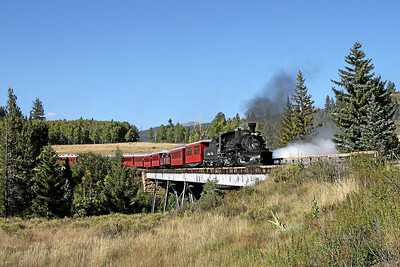 C&TS 487 crosses the trestle in Los Pinos Valley. 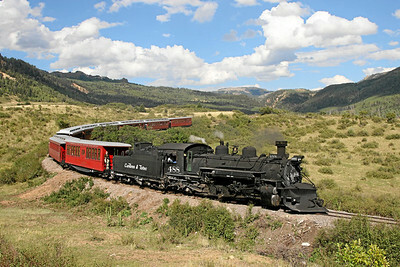 C&TS 488 and her Antonito-bound train wait in afternoon sun while passengers enjoy lunch at Osier. 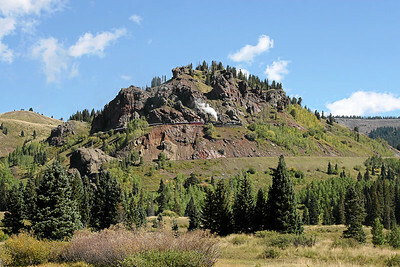 Just hours prior, heavy rain and sleet temporarily halted 488's climb up the grade to Cumbres Pass. 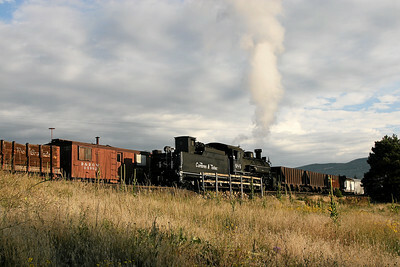 C&TS 487 approaches the Highway 17 crossing. 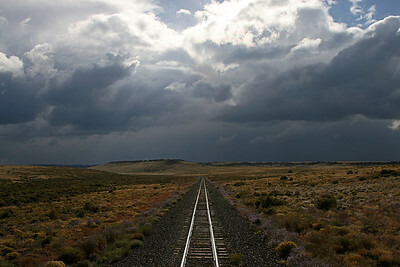 Storms follow the daily passenger train east toward Antonito. 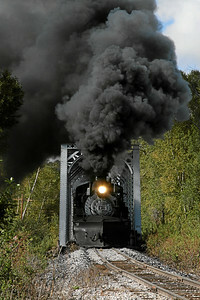 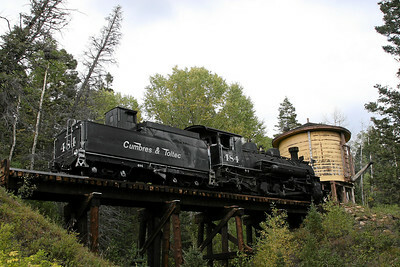 C&TS 488's boiler is blown down crossing Lobato Trestle, four miles from Chama. 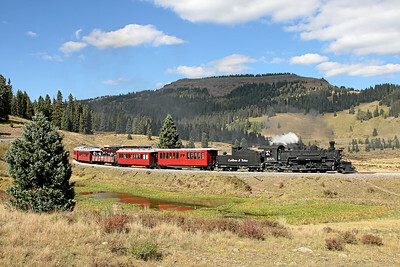 Multiple tour groups warranted an 11-car train and this surprise weekday double-header from Chama, seen here approaching the grade crossing at Dalton. 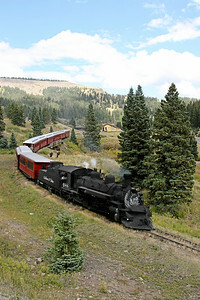 C&TS 487 rounds Windy Point, nearing Cumbres Pass. 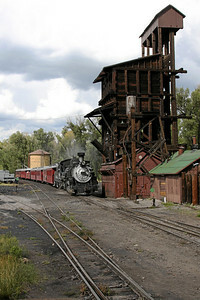 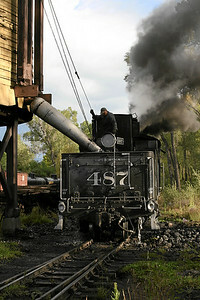 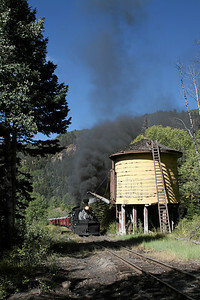 The engine crew empties the ashpan of C&TS 487 in Chama. 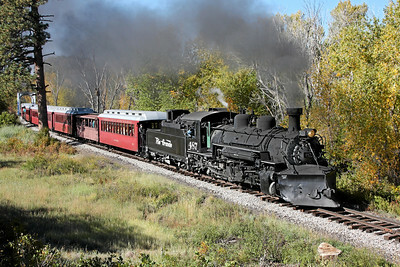 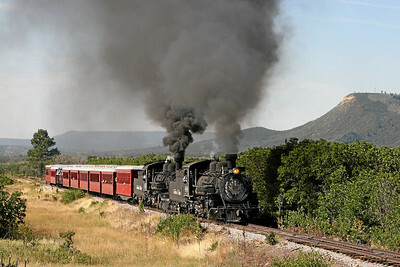 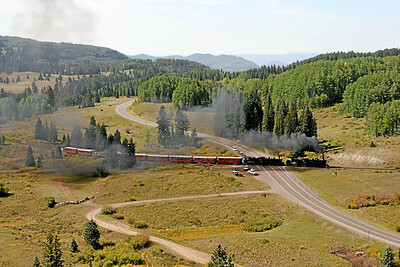 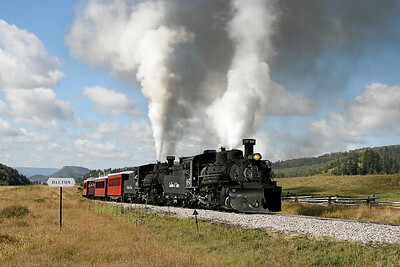 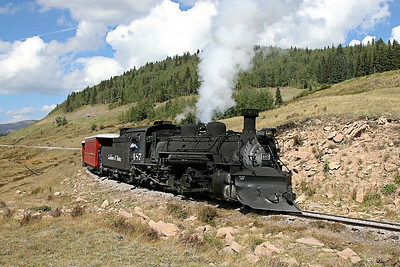 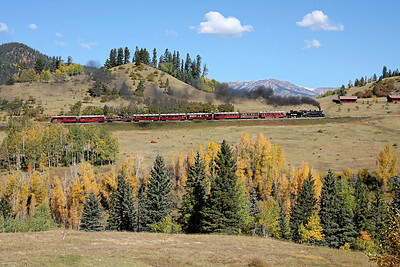 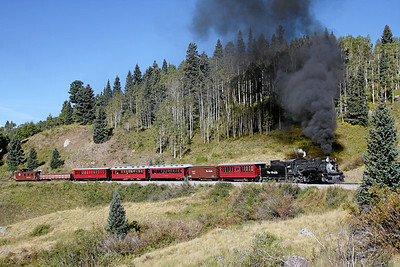 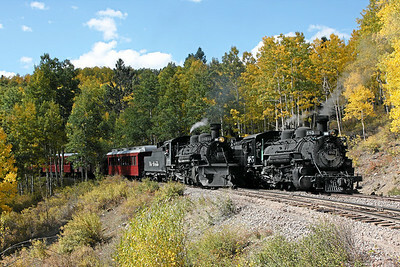 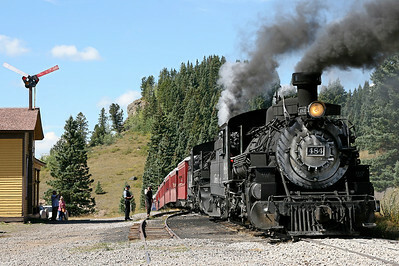 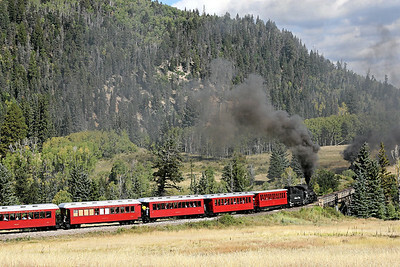 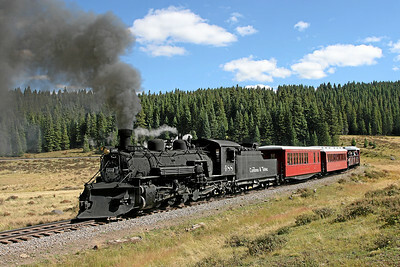 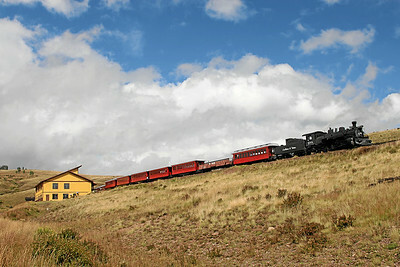 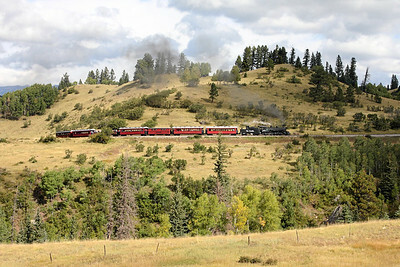 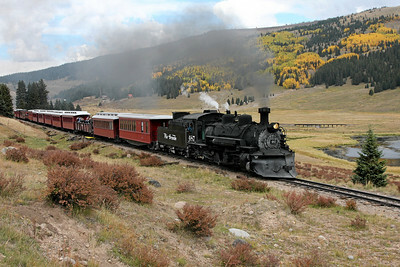 C&TS 487 and 484 cross the Rio Chama shortly after departing Chama. 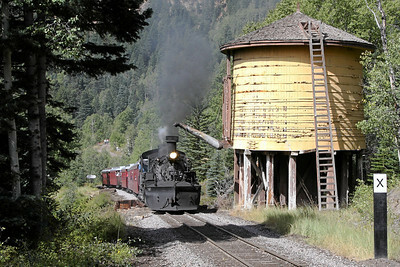 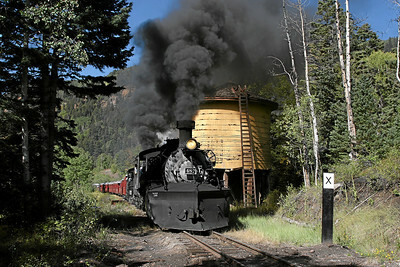 C&TS 488 drifts downgrade past Cresco water tank on the way to Chama. 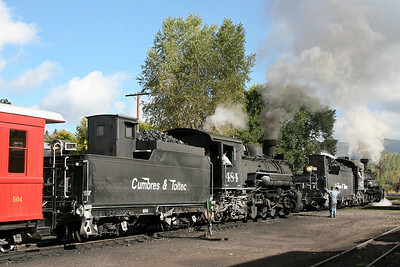 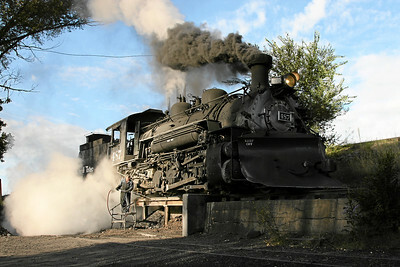 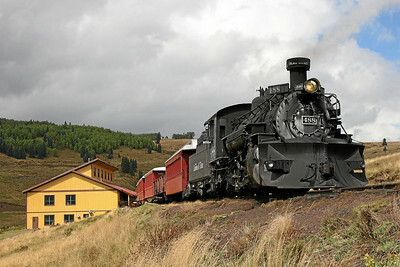 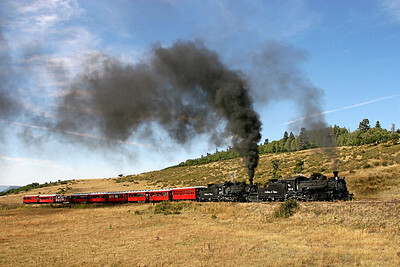 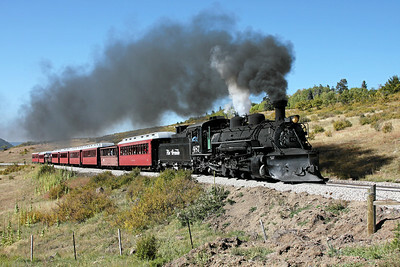 C&TS 487 takes water in Chama before the morning's departure for Antonito.